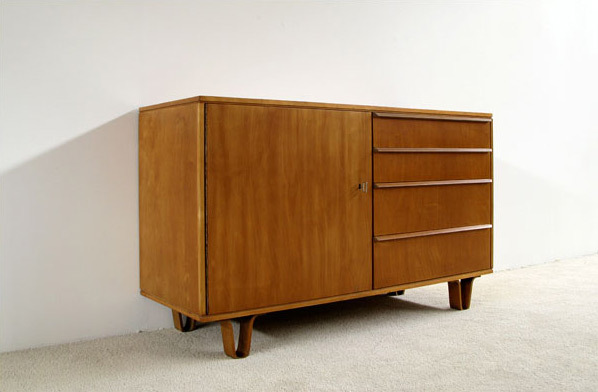 Birch sideboard, designed by Cees Braakman for UMS Pastoe, period 1954. Door with behind 2 shelves. 4 Drawers at the right side. Credenza finished with bentwood legs. Dressoir, conçu par Cees Braakman pour UMS Pastoe, période 1954. Porte avec deux étagères a l'intérieur. 4 Tiroirs a la droite. Dressoir se portant sur des pied en bois plywood.